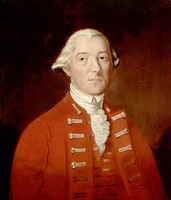 MOUNIER, FRANÇOIS, merchant, member of James Murray*’s council, judge; b. at La Rochelle, France; d. 17 June 1769 in Quebec. François Mounier, a Huguenot merchant trader, came to Canada shortly before the conquest, probably towards the end of the 1740s. Two of his brothers were merchants in La Rochelle; one of them, Henry, lived for a time in Quebec. François Mounier opened a business in Quebec. In the 1750s he was in partnership with one Sieur Grelleau, a merchant in that town. They are mentioned in 1753 in the account books of the Montreal merchants Alexis Lemoine, dit Monière, and his son Pierre-Alexis. The two men still had business connections in 1756, since on 23 August of that year they sold a ship and some wine to the purveyor general Joseph-Michel Cadet*. Two years later Mounier acted as the commission agent for the sale of another ship to Cadet. In 1762 Mounier had John Lee as a partner. On 17 Sept. 1763 he bought from Joseph Perthuis* de La Salle the seigneury of Perthuis (near Quebec), for which he paid 300 livres; ten months later, on 23 July 1764, he sold it in his turn to Antoine and François Germain for 600 livres. In partnership with another Quebec merchant trader, Jean Marteilhe, he bought Grosse Île and Île aux Ruaux from Charles Vallée on 1 Oct. 1764. On several occasions between 1763 and 1767 he petitioned the governor to obtain grants of large tracts of land (from 10,000 to 20,000 acres) but nothing seems to have come of his requests. Mounier was appointed examiner in the Court of Chancery (the governor and council) on 13 Nov. 1764. The following May he was commissioned justice of the peace for the districts of Quebec and Montreal, and about the same time he is referred to as judge of the Court of Common Pleas. He died on 17 June 1769 and was buried the next day in “the chapel of the bishop’s palace,” where Protestants had been able to be buried since 1759. Like other French or Swiss Huguenots, Mounier had suddenly been given important offices after the treaty of Paris, whereas his presence had barely been tolerated under the preceding régime. ANQ, Greffe de J.-C. Panet, 23 août 1756, 17 oct. 1758. PAC, MG 23, GIII, 25, A. Documents relating to constitutional history, 1759–91 (Shortt and Doughty), I, 193. P.-G. Roy, Inv. concessions, I, 170, 220; V, 84; Les juges de la province de Québec (Québec, 1933), 389. Brunet, Les Canadiens après la conquête, 95, 99–100. Neatby, Quebec. Trudel, L’Église canadienne, passim. F.-J. 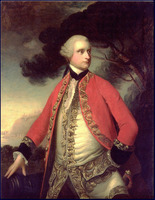 Audet, “François Mounier,” BRH, II (1896), 62; “Les législateurs de la province de Québec, 1764–1791,” BRH, XXXI (1925), 482–83. É.-Z. Massicotte, “Les tribunaux de police de Montréal,” BRH, XXVI (1920), 181. Jean-Marie Leblanc, “MOUNIER, FRANÇOIS,” in Dictionary of Canadian Biography, vol. 3, University of Toronto/Université Laval, 2003–, accessed April 26, 2019, http://www.biographi.ca/en/bio/mounier_francois_3E.html.